I stayed at Moose River Campground on Memorial Day weekend with my three dogs. It was a free camping weekend for veterans and I wanted to check the place out and I’m glad I did. I live in Vermont, but St. Johnsbury is over a two hour drive and a haul with the camper. My dogs were excited and barked a lot during check-in and the owners laughed and said, “all the dogs get excited checking in” and wanted to meet them. My dogs aren’t always quiet, but when they start barking, I’m quick to quiet them. I had no problems with anyone there for the 4 days we were there. The campground is very well maintained and there are many rules, but I think they’re only enforced when necessary. 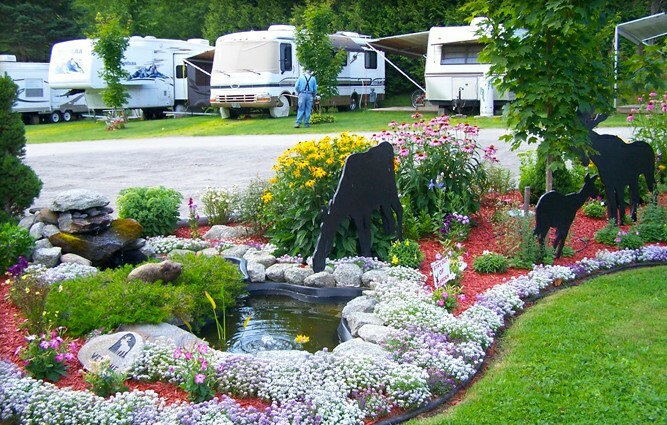 I’ve stayed in many dog-friendly campgrounds and they are no where near as nice as this campground. The place wasn’t very busy and my dogs escaped one time and met the neighbors who were very happy to have them around. My dogs are Corgis and very social and very cute so maybe they get away with bending the rules more often. We also went to Dog Mountain before returning to the campground so they were plenty worn out. I would stay there again. Everyone there was wonderful.